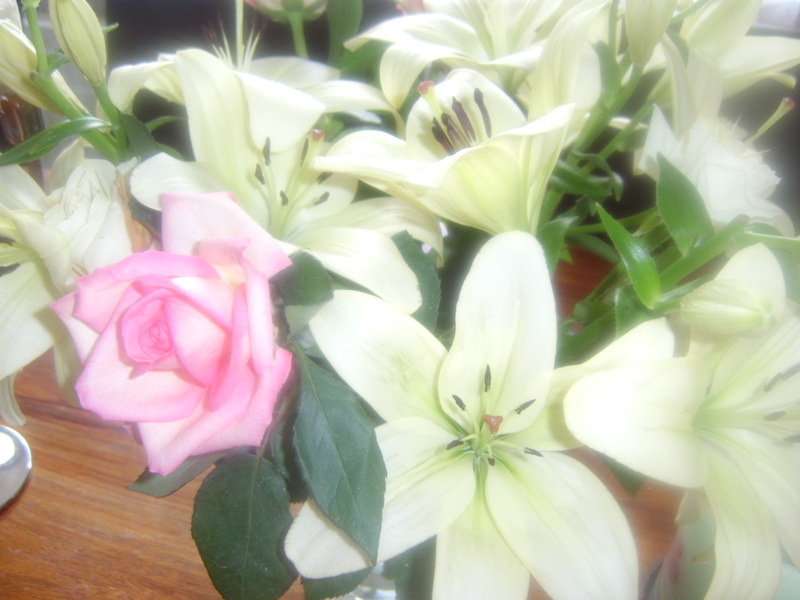 Flowers…you wait for ages then two come along at once! A couple of weeks ago my husband came home with a bunch of flowers just because he hadn’t bought me any for ages. Aren’t they lovely? I took this picture of them in their prime with the sun streaming in the living room window and it’s made them seem all glowing and beautiful. Unfortunately, the flowers are now the worse for wear and showering my cream carpet with stamen and curling, browning petals, but that’s the price you pay for such lovely things. 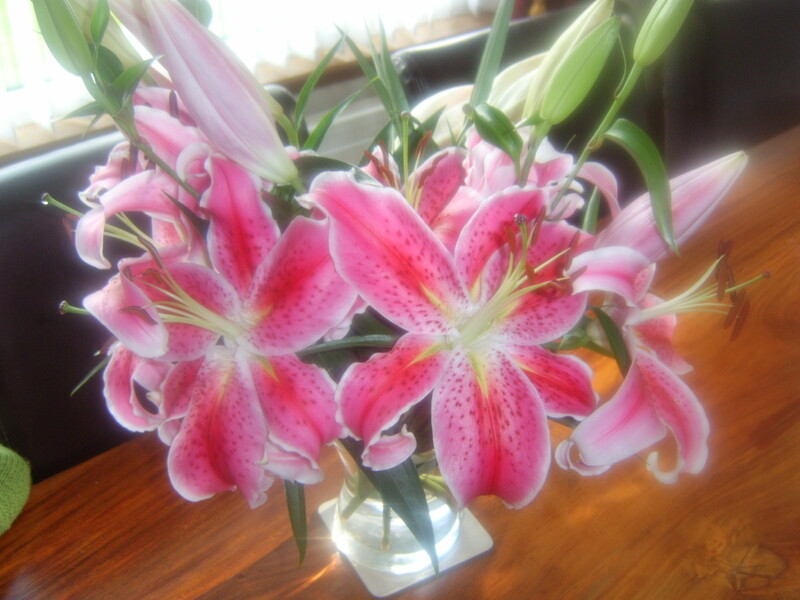 I just love Cala lillies, they are gorgeous and make the house smell really beautiful, like my own personal perfume factory. ← Also had to show you this…isn’t it great?